Premium Grade Butterfly Koi offer long and flowing Butterfly fins, combined with bright colors and crisp patterns. 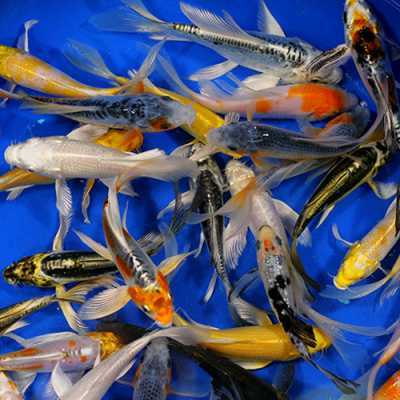 We have spent more than two decades selecting and refining our Butterfly Koi brood stock, and the results show in these high quality Butterfly Koi. Popular and hard-to-find varieties (Platinum Ogon, Showa, Shusui, etc.) may be more prevalent in the Premium Grade Butterfly Koi. Available from 3 to 4 inches.